Love makes us do crazy things. 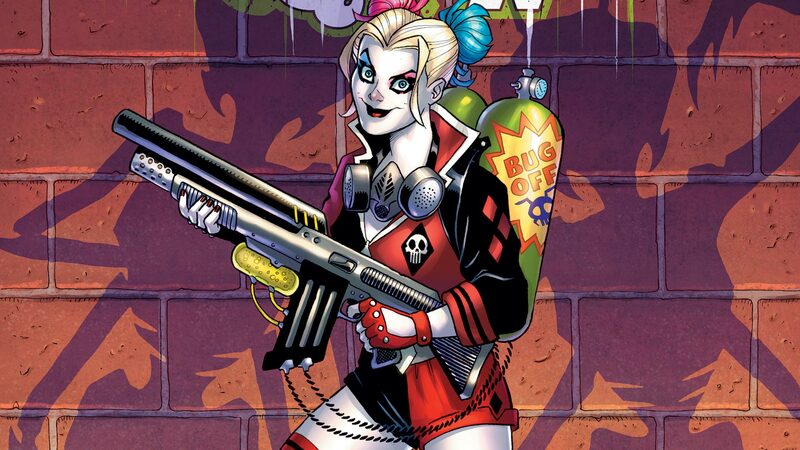 And for the bubbly and psychotic Harley Quinn, that includes dressing in costume, becoming a super-villain, carrying gag-themed weaponry, and murdering countless civilians—all just to put a smile on her puddin's face. Before her descent into madness, Dr. Harleen Quinzel was a promising psychiatrist assigned to Arkham Asylum, Gotham's home for the criminally insane. But after meeting the Joker, the young doctor became obsessed with the crazed criminal's warped mind. Sensing opportunity, the Joker manipulated her, driving his therapist so mad that he was able to control her. Harleen fell in love with the villain, broke him out of Arkham and devoted her life to making him happy and spreading his bloody brand of mayhem. Athletic, agile and dangerously unpredictable in a fight, Harley Quinn is a formidable opponent in her own right. She is willing to do anything in order to further the Clown Prince of Crime's goals—no matter the cost to anyone else or even herself. Her energetic, affable and animated personality is enough to make almost anyone drop their guard—a mistake that could easily cost them their life. 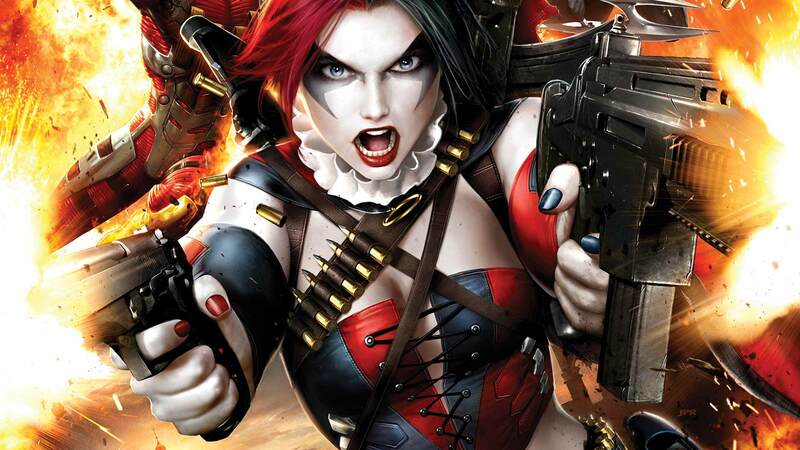 Deranged and psychotic, Harley Quinn is the poster girl for chaos' terrifying allure. The most-talked-about miniseries of the year reaches its stunning finale! First Look: Harley Quinn, Space Alien Hunter! Harley Quinn has a close encounter of the most terrifying kind as she finds herself swarmed by extraterrestrial monsters in this exclusive preview of Harley Quinn #60.
batman vs. teenage mutant ninja turtles, batman vs. tmnt, Batman, batman movie, new batman movie, new batman animated movie, batman animated movie, ninja turtles, Teenage Mutant Ninja Turtles, tmnt, donatello, leonardo, raphael, michaelangelo, shredder, ra's al ghul, joker, penguin, batgirl, batgirl of burnside, dc films, dc movies, dc animation, warner bros.
Watch the all-new series on Cartoon Network starting March 8. Toy Fair 2019 has arrived, and DC Collectibles is once again making news and thrilling collectors with three brand new action figure and statue lines, plus exciting new additions to Batman: Black and White, Harley Quinn: Red, White and Black, DC Designer Series and more!